There is an evil which I have seen under the sun which proceedeth as an error from the ruler: Folly is set in great dignity and the rich sit in low place. I have seen servants upon horses and princes walking as servants upon the earth. Ecclesiastes 10:5-7. God’s will for man from the beginning has been for man to have total dominion over the earth ( as a KING) Gen. 1:26, while having an intimate relationship with Him Gen 3:8a. (as a PRIEST). Though man fell, God sent His son Jesus Christ to redeem man back to His original position. But many are still blinded to this truth and are living below God’s will for their lives (Ecc.10:5-7). In 1Pet.2:9, God calls His children “a royal priesthood” and Rev.1:6, says Jesus Christ has made all God’s children KINGS AND PRIESTS unto Him. But the devil, has tried to sever the link between the two offices, and present to the world and even Christians a view that posits that you cannot operate in both offices at the same time, that you have to choose one over the other or try to make you give-up both (a FALSE VIEW from hell). This site is set as a channel to bring to light, the truth of God’s word, to teach and groom His children here on earth to function as Kings and Priests He has created them to be. It also contains a wide range of teachings addressing issues pertaining to: Health, Academics, Relationships, Finance, Social life and others. All from God’s view, aimed to ensure you live out God’s will for you as a Royal-Priest to the fullest. live as KINGS and PRIESTS that God has created you to be!!! Hey there, Its nice to meet you. I think you have an amazing blog here. Its so inspirational. Thanks for visiting my blog. Keep up the good work!!! So nice to meet you too Gina 🙂 yours is too, which is why i had to pay a visit. You’re welcome, Thanks for visiting also. Thank you for visiting kingspeech. Much appreciated! Hi There! I found you because you found me. So thanks for visiting my blog. I really appreciate it because I am relatively new to this. I like to connect to people of the faith. You can meet others by checking out those who like or comment on the blogs you’ve found or have found you. That creates exposure. 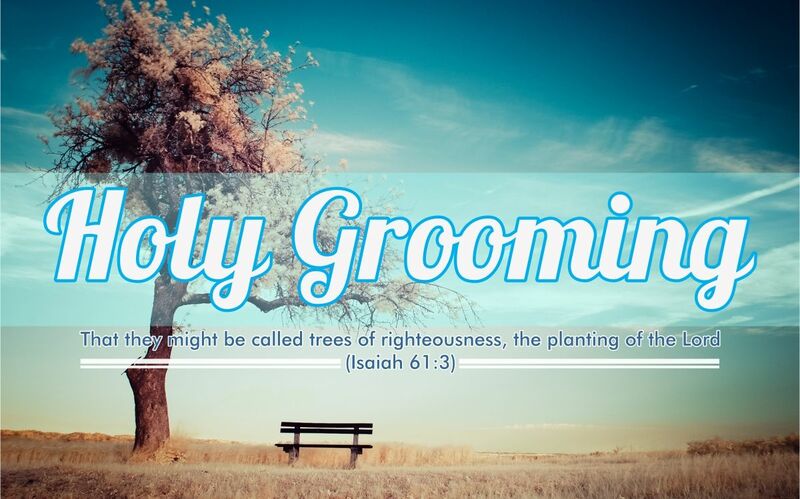 Amazing teaching also highlighting GOD’S Children groomed, particularly as ROYAL PRIEST KINGS in GOD’S Kingdom. Although in the natural real life seems contrary now to these powerful positions God conferred on believers, it shall come to pass in Jesus Name. Compared to earthly kingdoms the believers may seem different now but God Already is Reorganising and Shifting things for Complete and Total Restoration in Jesus Name. Thank you and God bless you. Thank you so much I blogged some time ago on this topic to point out God is not shaped as an invisible entity so incomprehensible to His Children. The studied the number of times in Scripture God Appeared to people physically. I summed that article briefly as ” God made all people.” To show GOD’S Direct Interaction with mankind since Genesis. Every creature is formed in predecessor’s type of shape and able to live with each other. We are made in GOD’S Image so Our Loving Father God Loves to be with His Children too. Why would humans be the only creature without original Image of God the Creator? Idea of God as invisible tyrant one dare not see or dies if done causes lack of connection to God. So misrepresents God to people who not feel connected to God. Yet the Bible is full of so many appearances of God face to face. Jesus seats on the Right Hand of God so God Definitely Has Head, Eyes, Legs too and visits His people. Thank you and God bless you. Thanks for stopping by my blog. I’m thankful you read something that blessed you. I appreciate your mission to encourage us in our royal priesthood! Thank you for stopping by The Fruitful Life and I’m glad you enjoyed the recent post. Blessings! Hello and thank you for stopping by my blog! I appreciate it! I am enjoying your blog and love your mission! This world needs to see the light of truth found only in Jesus, in order to live out our God ordained places – royal priesthood – and to find hope in Him because life here on earth is hard. Blessings to you! Thank you so much for your visit and likes. God’s blessings to you. Thank you for visiting my blog. Because of your visit, I am truly enjoying and being blessed by your posts! Hi! Thanks for stopping by BigSisterKnows.com! I think you’ve really hit on an important topic on this site–one that we all need to learn more about. I look forward to seeing more. May God bless you in all that you do so that you may continue to be a blessing to Him and to His people. Thank you for for your interest in Freedomborn, it may take me a little time to get to know your focus fully but what I have read so far has given me hope that unlike others you do not reject the Truth of the Scriptures. I was also very encouraged by your openness to let others share and I will look forward to doing so later although you can be assured it won’t be what many have accepted as Truth in the Churches, my focus is different and often rejected but was taught in he early Church and is fully confirmed in Scripture. You’re so much welcome Anne! God bless you. Sorry I’m so late with my reply. I just got so behind with the holidays and now I have a bible study to get ready for my church. I do appreciate your reading and hopefully your understanding! Happy to have found your inspiring blog!!!!!! You’re welcome dear. I’m happier to have found yours! !